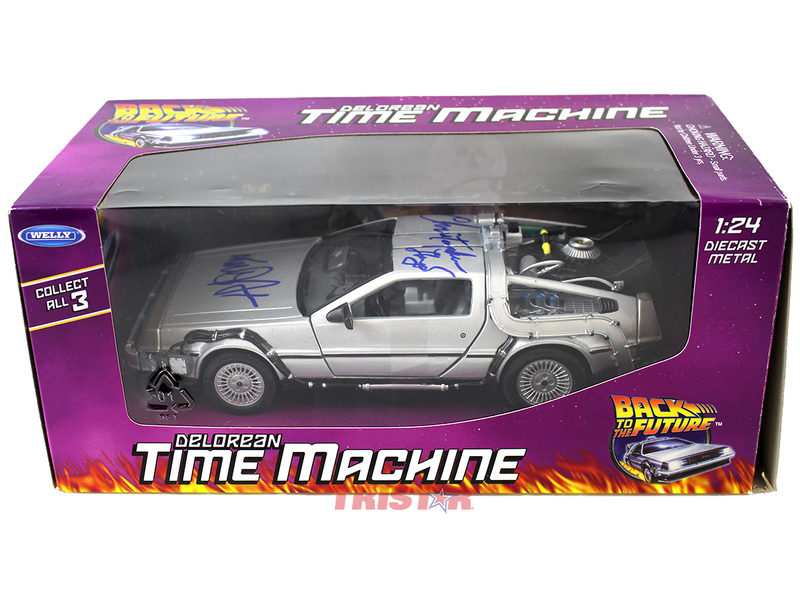 This Back to the Future Delorean Time Machine 1:24 scale diecast car has been hand signed by Michael J. Fox and Christopher Lloyd. Each autograph is guaranteed authentic, and includes an individually numbered TRISTAR Authentic hologram.